Positioned at Lindley Hall, onlookers were using ramps as seats as the entire room was built into a skate-park for Coach’s SS16 show. 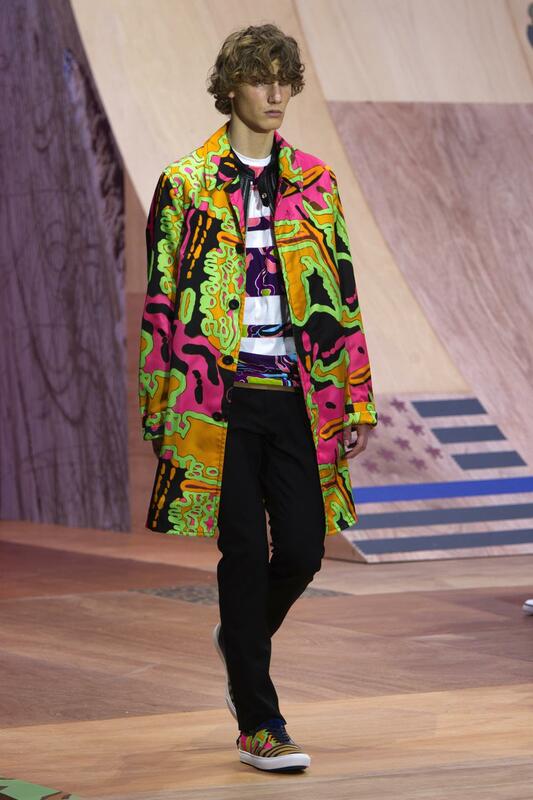 The first boy walked out and you began to understand Vevers’ thought-process for this collection. A sort of Calfornian-dream, that spanned across several decades – beginning in the 60s. The predominant print: acidic-coloured psychedelic patterns. Shocking to a pre-Vevers Coach, maybe, but this contemporary flavour has invigorated the once-ailing, American icon since Stuart was appointed as creative director at the brand in 2013. For a moment the Californian dream was ditched, and instead looked to Japan. Mid-collection, leather-and-cotton-jacket silhouettes were patched-up. These contrasting panels were reminiscent of the Japanese textile-technique, Boro: a 19th century tradition used by peasants to mend textiles, mainly seen in denim. Instead, it wasn’t rough or peasant-like, but refined into clean-cut shapes. 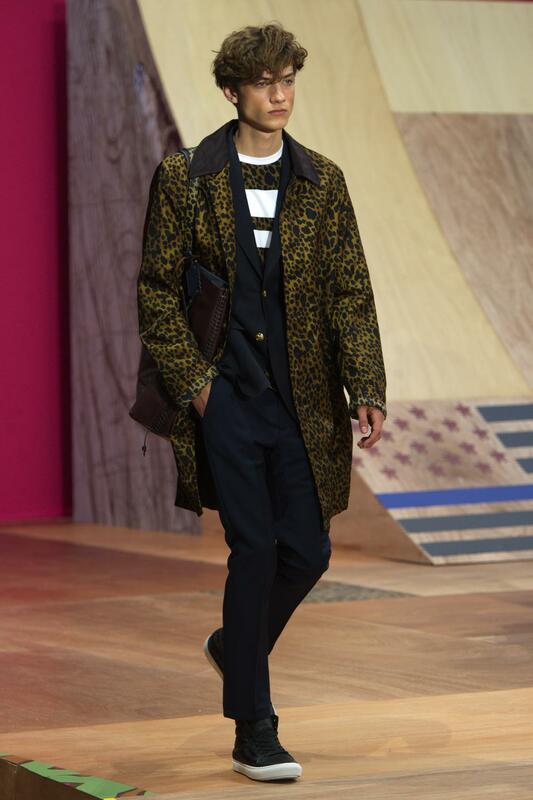 However, prints continued to dominate: cheetah and tiger, this time. Primarily on jackets, but then also detailed sporadically on jacket-facings, ends of shorts and entire collars. Odd placings, but it struck a pristine balance between expectation and freshness. Vevers revealed his fun-side once again, and one that continues to keep Coach at the top of it’s game.